Front porch off dining room. Front porch off dining room. Living area with sound views Living area with sound views Living area with sound views Half bath located off living room. Dining area. Front porch off dining room view Dining area. Kitchen with bar seating. Kitchen. Kitchen. Kitchen. Master bedroom with king bed and private bathroom. Master bedroom with king bed and private bathroom. Master bathroom. Guest bedroom with queen bed. Guest bedroom with queen bed. Guest bedroom with queen bed. Hall guest bathroom. 2nd guest bedroom with queen bed. 2nd guest bedroom with queen bed. Guest bedroom with 2 twin beds. Stairs to entry on front left side of property. Side porch. Side porch view. Street side view of property, unit is upper. 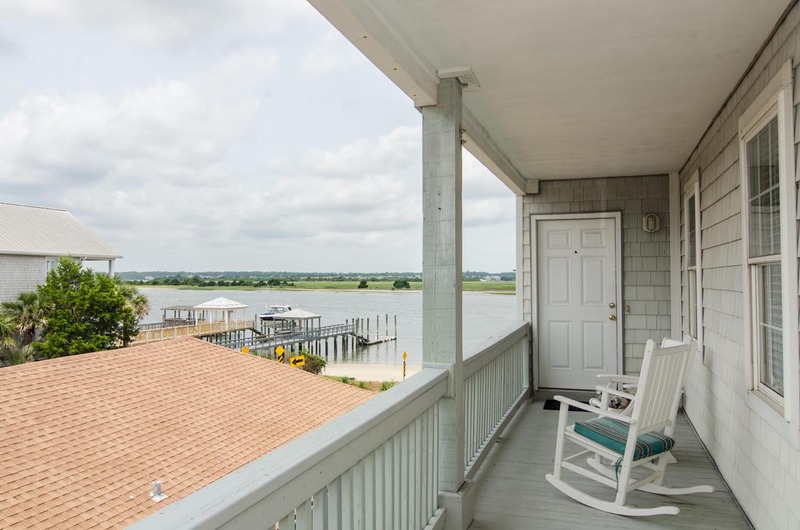 Take advantage of this sound front, upper level, 4 bedroom, 3 bath townhouse on Banks Channel! 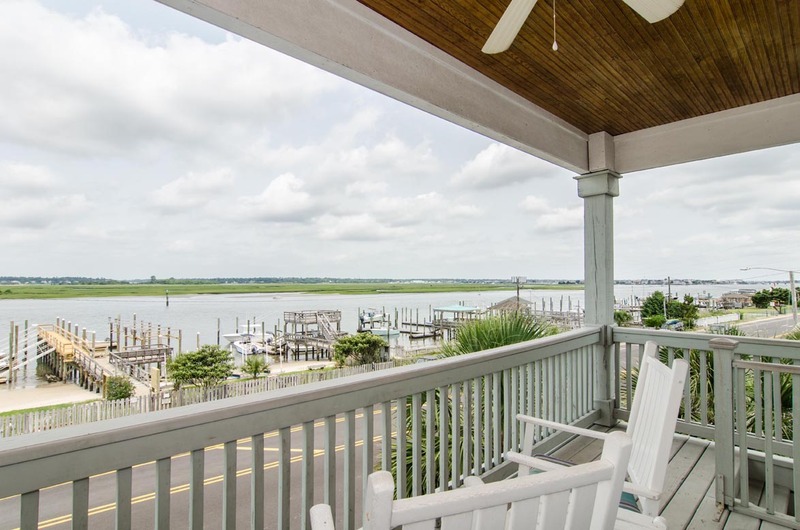 Stunning sound views are yours from the living/dining area and front and side decks! 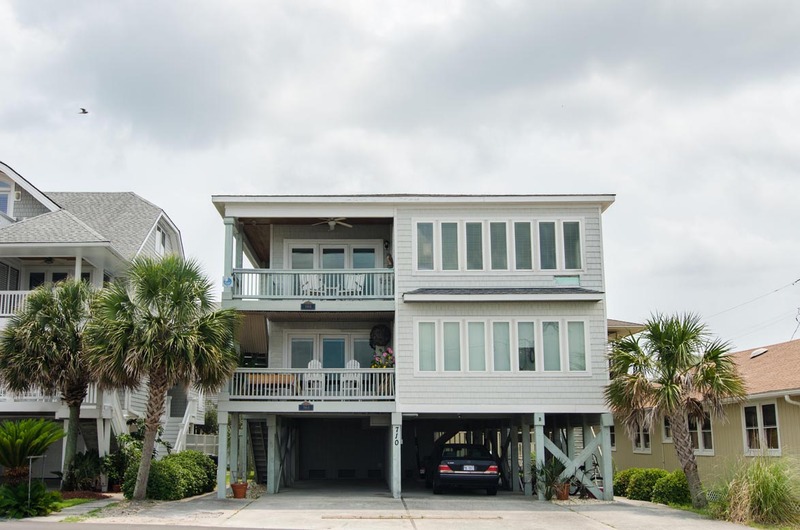 The townhouse is conveniently located on the southern end of the beach, close to the Oceanic Restaurant and Crystal Pier. 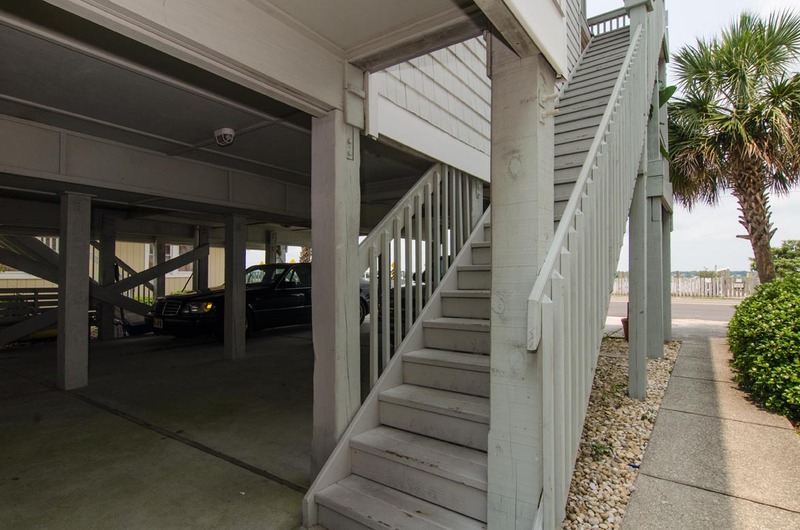 Easy beach access only a short walk away. Outside shower. Off street parking for 3-4 cars. Occupancy: 10. Everything was great. Will be booking it for next year. There were nine of us staying at the Bresnahan and all in all it was a good experience. The kitchen was quite functional, the bathrooms quite dated and while the accommodations were exactly what they said they were, there was hardly any extra space anywhere. The master was not large and the bedrooms quite small. Pricey for what was offered. We have had Bryant rentals that have had a much better price/value ratio. Hi Karoline- thank you for your feedback. We are sorry that you did not enjoy your accommodations! 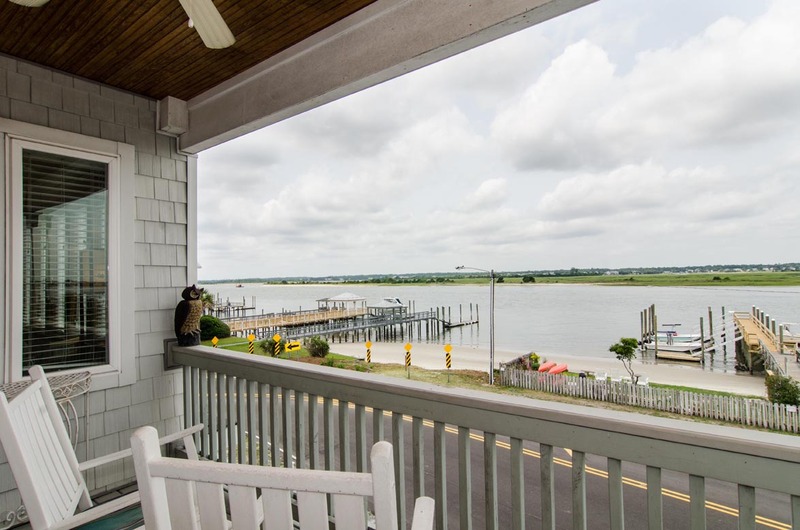 We hate to hear that our guests were not happy with their rental choice, but we hope to hear from you next time you're planning a trip to the beach- we'd love to find you a home with a little more room to spread out. Thanks again! Good place---Extremely hot every day. Absolutely phenomenal location! Which is why we were there. Unfortunately the property really could use a face-lift. Broken blinds repaired w two-sided tape & outdated, inexpensive furniture is not exactly what you expect when paying $300± per night. On the positive side the beds were comfortable & there was plenty of parking. Regardless of how many are listed as a maximum occupancy, the unit is really not set up to sleep more than 7 people comfortably. Adam, We are happy to hear that you enjoyed the location of this property and found the beds to be comfortable! We will be happy to have our staff address these issues with the blinds that you noted, and we sincerely appreciate you notifying of these items. Thank you for your feedback and we hope you will consider Bryant Real Estate again when planning your next trip to the beach! Nice location and quick response from property management. This is a lovley place to stay. Hours can be spent just sat on the porch watching the boats and birds. Such a great location. Very happy with the unit itself. Very clean and spacious thank-you. Our niece was getting married in Wilmington. We are from Connecticut. We decided that instead of going all the way to Wilmington just for the wedding, we would also take a vacation. 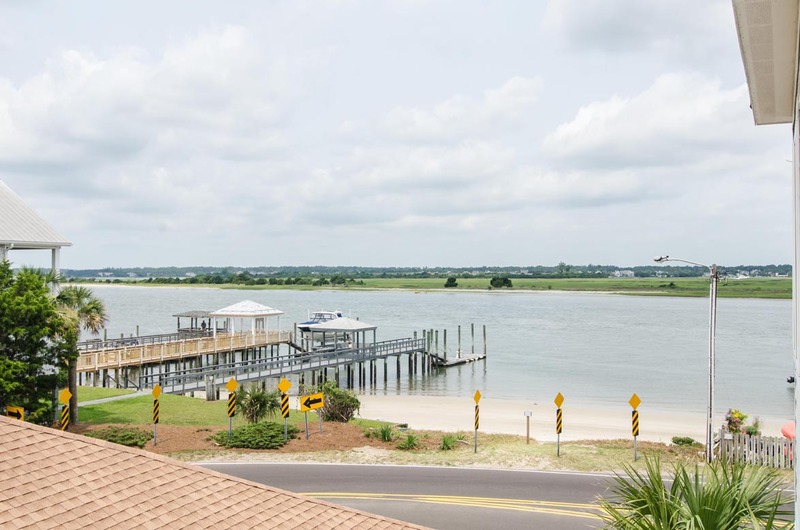 We went for a whole week (before the wedding) and spent it in Wrightsville Beach. There were 8 of us so the 4 bedroom house we rented was perfect. 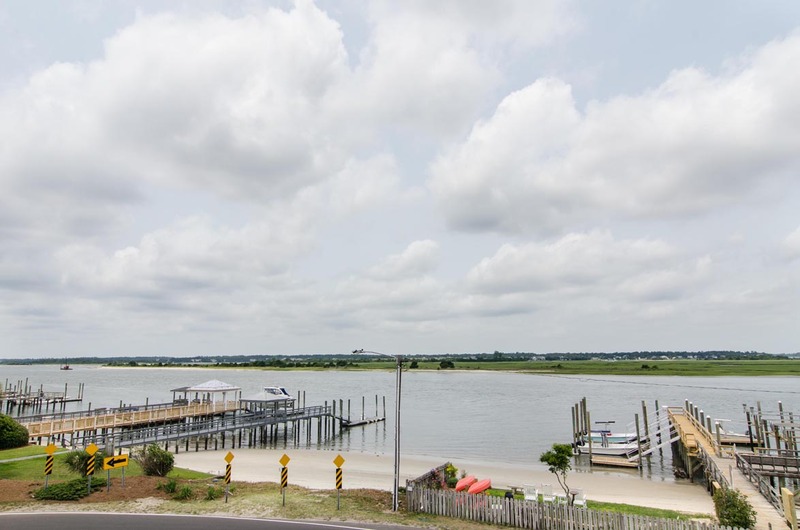 We loved the fact it was on the Banks Channel side and we had dock rights directly across the street - great for fishing. We were close enough to everything we needed - groceries, restaurants, shops - yet had enough privacy. Great location. Boat slip needs clarification. Very nice house. We had a wonderful time. The location was perfect for us. The unit was very clean and we enjoyed everything. A dirty towel was hanging behind a door when we arrived so we washed it. The boat slip was used but we realized it wasn't made for a 30' sailboat with a 5' keel as it was stuck in the mud during low tide....but we used another slip during those times. The slip was not marked when we arrived but a neighbor, in an unkind way, corrected us. :O....:). Thank you for your hospitality! Unforgettable memories! Sherry- Thanks so much for your feedback! Sorry about the left over towel, thanks for washing for us! We will look into have the dock space properly marked to avoid confusion in the future. Happy to hear everyone had a wonderful time, look forward to seeing you at the beach again soon! The house was great. Clean. Roomy. All I could ask for. Will definitely want to stay again!